Lot 1 Stonemont – under construction – Rehnquist Design & Build, Inc. 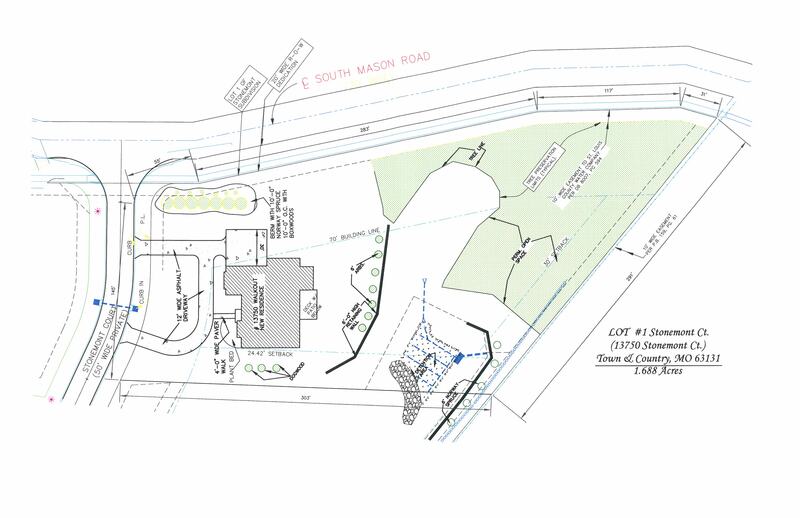 Lot 1 (13750 Stonemont Ct.), new home in an enclave of 6 new homes off Mason road in Town & Country. 5,000 sq. ft. 1 1/2 story on 1.7 acres. Full rear walkout. Master suite on first floor. Three (3) full suites each with a full bath and bonus room on second floor. Oversized three car garage. Brick front with Stone accents. Minimum 50% brick on right, left and rear elevations. 10'-0" Basement. Homes range from $1,600,000 to $2,100,000 in neighborhood.